Fishtek Marine is crowdfunding as it aims to put an end to one of the most troubling side effects of commercial fishing. Every year hundreds of thousands of marine creatures drown after becoming tangled in fishing lines and nets. Known in the industry as bycatch, the accidental death of dolphins, whales, turtles, seabirds and sharks is one of the most troubling side effects of commercial fishing. Technology to prevent bycatch is limited, and the devices that are available to fishermen can be expensive and cumbersome. Fishtek Marine, a small business in Devon, hopes to change this. Fisheries biologist Pete Kibel was feeling “pretty appalled by the state of our oceans” when, after 25 years in the industry, he set up Fishtek Marine with his brother Ben, an environmental engineer. They launched the company in 2016 in order to pioneer new marine conservation technology. After rapid growth over the last two years, Fishtek Marine is now crowdfunding via Triodos Bank in order to raise £900,000 of new investment to expand the reach of its products and to invest in developing new ones that could have even more of a positive conservation impact. Speaking from Fishtek Marine’s base in Totnes, Kibel describes bycatch as “one of the biggest threats to a number of iconic species”. At least 300,000 dolphins, porpoises and whales, 300,000 seabirds and 250,000 turtles are killed this way each year, he says. Some marine species are now in such a precarious position they could face extinction unless things change quickly. “It’s positive that bycatch is starting to shift up the agenda,” he says, explaining that much legislation has been introduced, announced or strengthened in recent years – “but it’s way too slow”. A major obstacle has been the quality of many of the products on the market to date. For instance, the ‘pinger’ – a device that can reduce the number of dolphins, whales and porpoises caught in nets by up to 95 per cent – has existed for decades, but most on sale were poor quality and overpriced, according to Kibel. So the brothers set to work, developing pingers that are designed to be both durable and affordable. The devices are designed to be fitted to gill nets – large, fine-weave fishing nets that are weighted at the bottom and floated at the top so they sit suspended above the seabed. Some gill nets, says Kibel, can be four or five meters high and run for tens of kilometres. “When porpoises or dolphins are foraging on the seabed they can’t see these nets and so they swim into them, get tangled up and die,” he explains. Pingers work by sending out a “randomised frequency sound sweep” every five seconds, which encourages dolphins to switch on their sonar, alerting them to the net’s presence. Fishtek Marine’s device is robust, can be used in deep water and is acceptable to fishermen because it runs off a standard C cell battery that can be bought in a supermarket for around 50p. 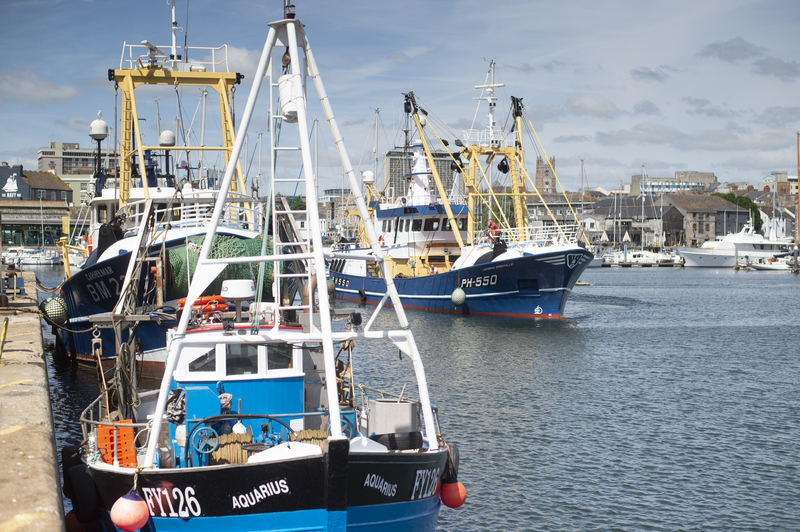 By providing a good product, the company will make it more difficult for fishermen to justify not using pingers, says Kibel, and in turn legislators might “get a bit more serious about enforcement”. In 2022, a major new US law is set to shake up the global fishing industry by demanding that all countries that export fish to the US demonstrate they are working to minimise interactions with marine mammals. But it’s also a test for the company, which must now rapidly expand its capacity in order to meet growing demand. 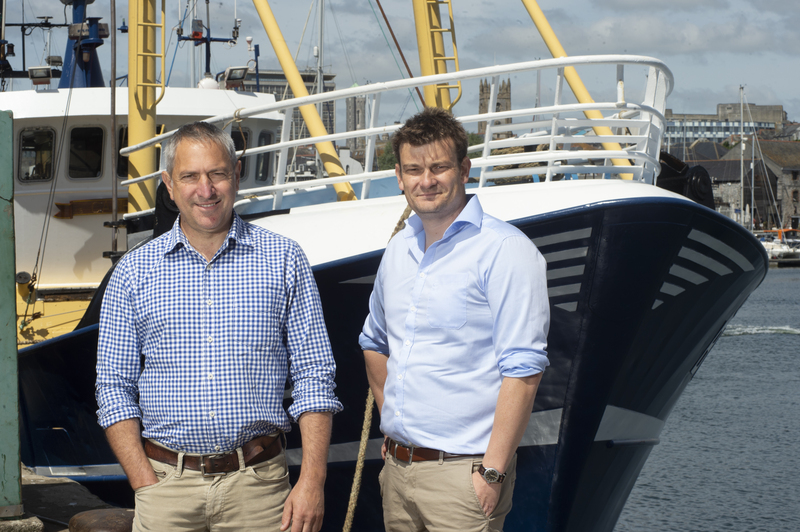 By raising £900,000 of equity through Triodos’ crowdfunding platform, Fishtek Marine hopes to expand its business into something that not only makes a difference to marine conservation but could also command a £10m turnover within five years. Kibel recognises that the crowdfunding offer is a high-risk investment opportunity in the shares of their early stage company. Fishtek Marine has no plans to pay dividends in the short term, and although the directors hope to create an exit for investors after three years, there is no guarantee of this or the future value of the shares. As a result, the target audience is experienced investors with a diversified investment portfolio. It made sense for Fishtek and Triodos to team up: they had worked together before on hydropower schemes. Diana Gerry, a relationship manager at Triodos, was impressed by Fishtek’s track record and eye for product design. “We are inspired by their dedication and desire to tackle global threats to marine conservation and their ability to create a commercial business model from doing so. Plastics are getting most of the headlines at the moment, but this is also a huge issue for marine wildlife” says Gerry. Many of the people who invest with Triodos seek to have a positive impact on people or on the planet through their investments. As Gerry adds, “the Fishtek Marine share offer enables them to do this”. Triodos has already raised over £16m for seven social and environmental organisations this year on the crowdfunding platform, so Kibel is hopeful that Fishtek will quickly reach its goal. The money raised will be invested in the sales and marketing of existing products, such as the pinger, but it will also be used for the development, testing and marketing of four new products that will be launched over the next three years. While pingers help to protect animals that have sonar, new technology is needed to deter sharks, turtles and seabirds. Fishtek has already designed a prototype device called a SharkGuard. “Sharks are super sensitive to electrical fields. Thousands of times more sensitive than fish,” says Kibel. “The SharkGuard creates a small electric field around the baited hook." With initial trials showing a 95 per cent reduction in bycatch, the SharkGuard has the potential to save hundreds of thousands of sharks every year, Kibel says, estimating that 5,000 registered longline fishing vessels globally are likely to set 10m hooks between them each day. Scaling up is therefore paramount. “If we’re going to make a real conservation gain, we have to have more than just a few hundred units out there; It’s got to be hundreds of thousands,” Kibel says, envisioning a win-win situation for Fishtek and for marine life. “By definition anything that is successful in terms of global marine conservation has to be manufactured in large quantities and therefore is likely to be successful as a product too." How do we judge which investments to support? Impact investment crowdfunding - now that's something to celebrate!